Patel, Minal (Redwood City) - Book Appointment Online! As we live longer, the expectations for our teeth need to be more demanding. 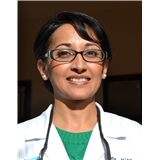 Dr. Patel strives to help her patients maintain stable and predictable oral health throughout their lifetime. Good oral health requires a dentist that is diligent and meticulous in the details and has the ability to provide skill and care in a way that lasts.